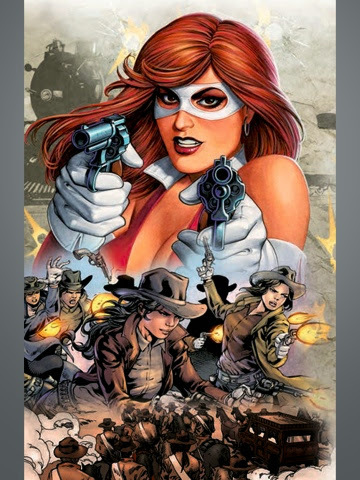 Think El Zorro, but instead of man, a woman in a skin tight outfit. This was entertaining, it follows an old west style storyline set in Old Mexico; which based on the story is the period following the Mexican-American War. 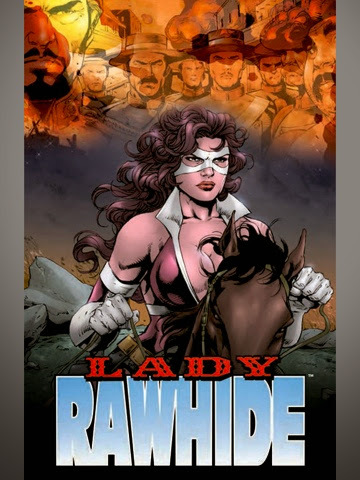 Lady Rawhide, whose name actually fits because with that outfit she'd have ridden her hide bare on a horse, is a vigilante trying to help the people of Mexico being oppressed by a corrupt government. The story was appealing and fun; it had everything that make anything old west related fun; the guns, the horses, the bandidos, the dirty army and the one honest soldier. I would have added more depth to the characters, like El Capitan and The Sisters of the White Rose. My only problem with this novel was her outfit, it didn't even have any support for her breast, guys won't get this but even running without some support will hurt; other than that it's definitely worth checking this one out.